If you want to build muscle in your lower body, then Quad Quench is designed for you. It’s programmed so that you lift heavy the smart way. It even includes some upper body and core stabilization, so it hits multiple muscle groups, putting you on track to make some serious gains. This workout will push your body and leave you feeling powerful and accomplished. 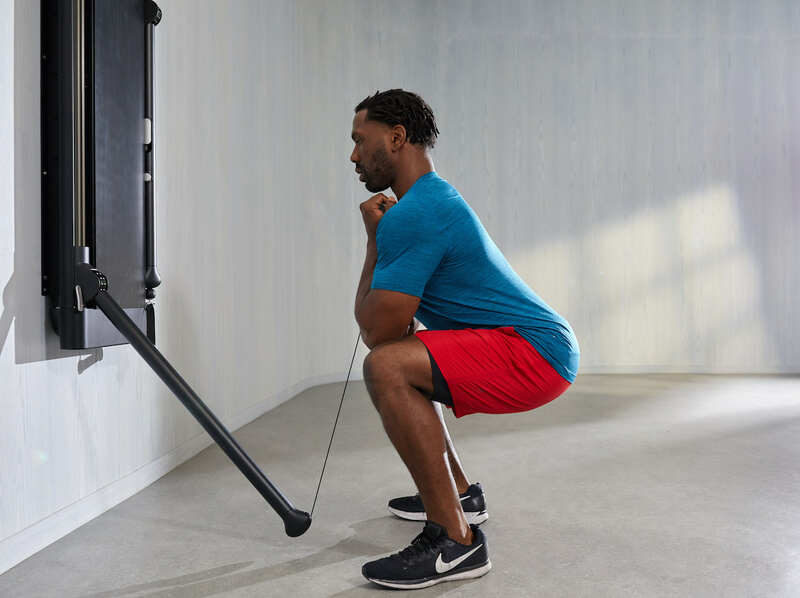 Quad Quench allows your body to adapt to an effective lower body routine by using both compound movements and single leg (or unilateral) movements. Compound movements are major movements that work several muscles simultaneously. Single leg movements allow you to strengthen each leg individually. This combination builds strength uniformly, which promotes optimal muscle growth in your legs and glutes. As Coach Paul says, the best way to strengthen both legs is to use them one at a time. Coach Paul is a highly skilled trainer who will teach you how to build muscle the right way. As a lifelong athlete, he knows how to get results in order to succeed on and off the field. He will always help to improve your performance and train your body to do more. Quad Quench is a fundamental leg workout that includes important moves for a well-rounded strength routine. Coach Paul added these specific movements because they provide results. Quad Quench is an intermediate lower body focused workout. It includes 2 strength blocks consisting of a total of 5 moves, and will take you under 40 minutes. The Goblet Squat is one of Coach Paul’s personal favorites. It’s a smarter, safer squat variation that puts less pressure on the spine. Neutral Grip Deadlift, a major compound lift that uses almost every muscle group in the body, including the legs, glutes, back, and core. Resisted Glute Bridge, a glute exercise that promotes upper body and core stabilization. Split Squat, a single leg compound exercise. Resisted Lateral Lunge, a single leg, glute dominant movement. This workout is available now. You can do it on your Tonal, or book a workout at your nearest location to try it out.